What is on your play list this month? What you subject yourself to, including what you watch on the screens, what you listen, with whom you surround yourself all impact your life. Zig Ziglar addresses this in the audio book called Leadership and Success Series. When I’m in the car, I make use of that time to either listen to silence, or tune in to an educational podcast(love Star Talk with Neil DeGrasse Tyson & Bill Nye) or listen to a motivational book. 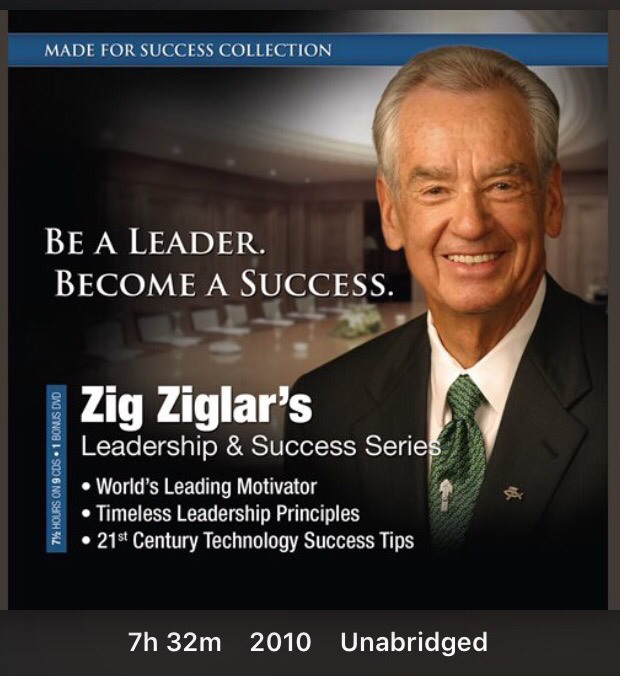 My current playlist for the car is Zig Ziglar’s Leadership and Success Series. He is well known for his leadership principles and developing a winning attitude. Although some of the things Zig references are from a few years past, they still apply to today. I really enjoy listening to him because he is so upbeat and positive, he has a great sense of humor and I love his southern drawl! He is genuine and delivers his message with such passion, conviction and love. I can only imagine he was one of those individuals you loved to have in your presence because he most likely drew you in with his positive energy. If you need an attitude boost or you want to listen to someone who is genuine and entertaining, I recommend downloading the audio book to listen to in your spare time. I usually download my audio books through my local library, it is a great way to try out something before your buy it. The app I use is Hoopla. Would love to know what is on your playlist. I’m always open to suggestions! Please share your playlist in the comment section below. Previous Previous post: Do You Set Intentions? Next Next post: Got Curves? Check out these Spring Outfits.